This weekend wasn’t very noteworthy for positive reasons, but drama is drama and we’ll take what we can get. Four movies opened this weekend – one disappointed, one was fine, one was not quite fine, the other was a non-starter. In first, Fox’s Shane Black-directed The Predator fizzled with $24.63 million from 4,037 venues ($6,102 per-theatre average), certainly not an ideal result. The Predator’s debut comes in -0.6% behind that of 2010’s Predators ($24.76m), itself not a smash hit, closing with $52m. 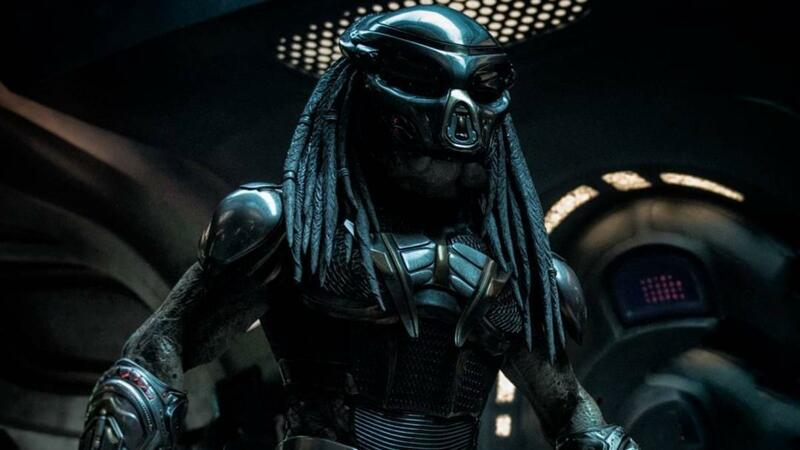 The Predator’s inability to eclipse Predators is a testament to a couple things – primarily, the movie’s weak reception; secondly, the relative lack of interest in the Predator franchise at this point. The average gross for a Predator movie (not counting the Alien vs. Predator flicks) is $47.47m, so why The Predator was allowed to cost $88m to produce is a little baffling. Alas, it seems unlikely The Predator will make it over $60m in the U.S./Canada, perhaps not even surpassing Predators. It’ll be interesting to see whether Disney and co. will maintain the franchise – perhaps via streaming? An article for another day, I suppose. Overseas, The Predator didn’t save a ton of face, collecting $30.06m from 72 markets for a $54.69m global launch. If it holds well in current and upcoming markets, The Predator should overtake Predators’ $127.23m global haul, though that isn’t a particularly profitable milestone. Top debuts for The Predator come courtesy of Russia ($4.7m), the U.K. ($3.1m), Japan ($2.1m), Australia ($1.7m), and Indonesia ($1.4m). In second, Warner’s Conjuring spin-off The Nun fell -66.1% (very close to an on-brand decline number, but whatever), summoning $18.24m in its sophomore frame. Domestic coffers stand at $85.11m, overtaking fellow Conjuring Universe member Annabelle ($84.27m). Such a sharp drop for The Nun isn’t surprising, what with many people actively disliking it. It is the worst drop for any movie in the Conjuring series, but that’s mostly trivia for a movie that cost a modest $22m to produce. The Nun is still well on track for over $110m when all’s said and done. Internationally, The Nun fended off The Predator for #1 at overseas tills, earning $33.1m from 62 markets. Overseas and global cumes stand at $144.8m and $229.91m, respectively. Top cumes belong to Mexico ($17m), Indonesia ($12.7m), Brazil ($12.6m), the U.K. ($9.8m), and India ($8m). Debuting in third, Lionsgate’s A Simple Favor was just fine with $16.01m from 3,102 hubs ($5,162 per-theatre average). That’s the lowest debut for a Paul Feig flick since 2006’s Unaccompanied Minors ($5.82m), but A Simple Favor is a smaller, more intimate affair than his heavily-marketed comedies. Plus it cost just $20m to produce, so it’s smooth sailing from here. All told, the movie has positive reviews in its corner, two popular actresses – Anna Kendrick and Blake Lively – leading it, and it’s not going to face much direct competition for women until October 5’s A Star is Born. So it’s in fairly decent shape going forward. Overseas, A Simple Favor opened in 28 markets, the only major territory being Australia – which, predictably, boasted the top debut with $2m. Total take for the weekend is $3.5m, with its global tally standing at $19.51m. Opening in fourth, Sony’s White Boy Rick came out a bit pale with $8.86m from 2,504 hubs ($3,539 PTA). There are a few factors at play here, leading to this less-than-desirable figure. First off, the reviews are mixed, typically a poor omen for awards contenders. Secondly, White Boy Rick faced an uphill battle marketing-wise, trying to present a bleak take on Detroit’s crack cocaine scene a few decades back. The movie cost $29m to produce so it’s not like there was a ton on the line here, but it’s the second consecutive flub in as many months for Studio 8, with August’s Alpha making $34.42m thus far off a $51m production cost. Studio 8 financed White Boy Rick whereas Sony has it for a distribution deal, though neither party is likely to benefit here. There are no international numbers to report for White Boy Rick. Rounding out the top five, Warner’s Crazy Rich Asians declined fell a healthy -33.9% for $8.69m in weekend no. 5. Domestic tally is $149.54m, good enough for #9 on the all-time romantic comedy list, a ladder the movie is rapidly climbing (it’s also WB’s highest-grossing movie of 2018, if you’re curious). For a $30m production cost, this is a phenomenal result and it still has a bit of gas left in the tank. Overseas, Crazy Rich Asians added $7.3m from 29 markets for a $38.5m tally. Global is $188.04m. Top territories are Australia ($12.2m), Singapore ($4.7m), the Philippines ($3.2m), Indonesia ($2.1m), and the U.K. ($2m). Debuting right at #10, Pure Flix’s Unbroken: Path to Redemption wasn’t too strong, earning $2.24m from 1,620 venues ($1,382 PTA). This obviously pales in comparison with the debut of 2014’s Unbroken ($30.62m 3-day/$46.06m 5-day), but it’s doubtful Pure Flix (or anyone, really) was anticipating numbers anywhere close for this faith-based take. Still, it’s the second misfire for Harold Cronk in as many weeks, following last weekend’s God Bless the Broken Road ($2.4m and counting), and odds are it won’t stick around for very long.